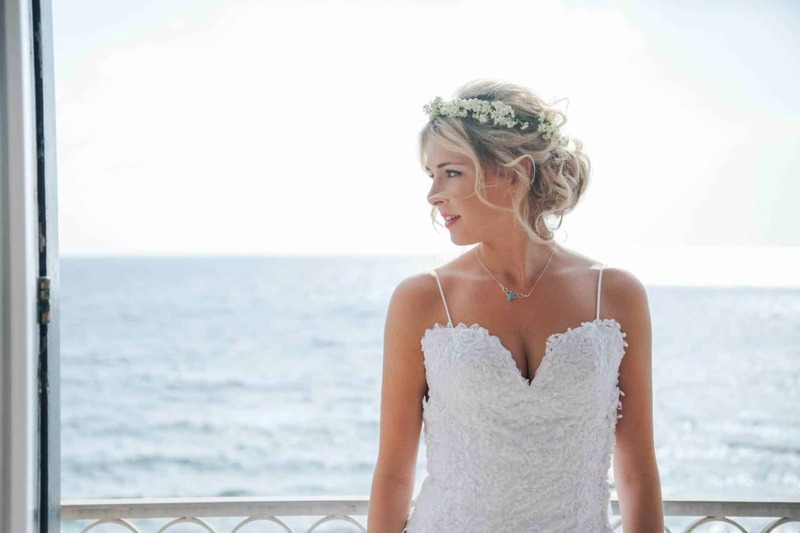 Are you dreaming of a romantic beach wedding in Italy? We know just the place…. A coastline steeped in history, and known as the Mermaid Coast, just below the more well known Amalfi Coast. Your guests have quite possibly never heard of it.. (My Secret Italy) but rest assured they will fall in love with this authentic part of Italy. The coast is known as Cilento Coast and it is part of the Unesco World Heritage Site. Along the coast line is the perfect little fishing village, called Santa Maria di Castellabate. I say perfect, because it is just that.. Perfect for a wedding in Italy, a great place for all your family and friends to find an amazing choice of hotels or apartments. Lots to do as well, from cute eateries and traditional bars, to state of the art spa, days out on boats, trips to vineyards and mozzarella farms. I am guessing that you love being near the sea? and that is why you are reading this blog post.. well, let me tell you that the beaches along this coastline are simply stunning. Long sandy stretches of beach, glistening sea and views that will simply take your breath away..
Getting married on the beach is not for everyone. Hopefully this blog post will help you decide if a beach wedding is the best option for you. 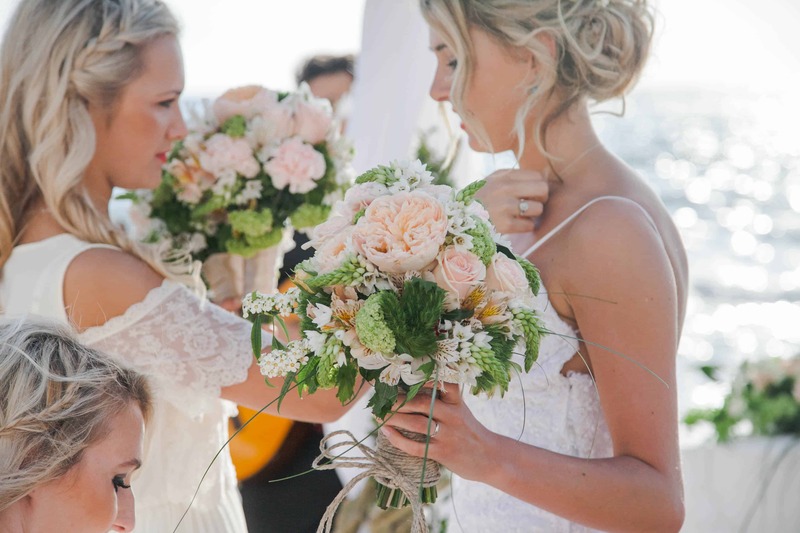 The best time of year for a beach wedding is from May, June or September. Usually the weather is warm and days are sunny and warm. You want to avoid the heat and madness of the peak summer months in July and August. Santa Maria di Castellabate is an Italian holiday destination, so it gets very busy in peak season, and temperatures sore to 35 degrees on average. If you want to marry on the beach, we always suggest from 1730/1800 as the perfect time, when the heat of the day has subsided and the sun is just starting to descend. From the beach in Santa Maria, the sun sets over the island of Capri, so you really do have the most amazing view as you say your vows. You can also choose a sunset beach wedding around 1930 when we light lots of tiny candles, this is surely the most romantic time of the day. Imagine, twinkly fairy lights, candles and views of Capri! You can decide what type of ceremony to have. 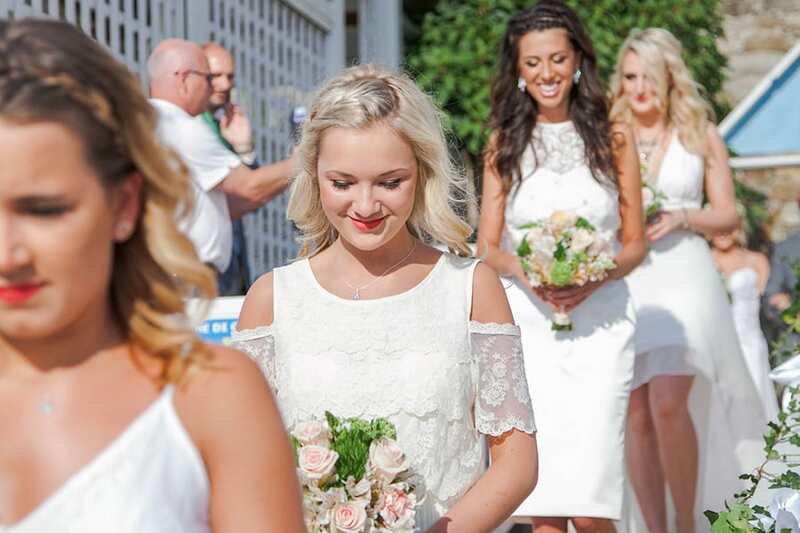 A symbolic ceremony is one where you have completed your legalities in the UK, and your ceremony is a celebration of your love, where you can decide if you want an local celebrant or perhaps to ask someone close to you to be the celebrant. You can decide on the layout, the feel for the ceremony and it can last as long as you like. We recently held a symbolic ceremony that lasted over an hour, but you can keep it as short as 15 minutes, or anytime in between. It is up to you. If you choose a civil wedding, where you do the legalities in Italy, we will send you a little video that will help you. The ceremony is read in Italian and then translated into English. You can add readings and your own vows, Of course, we help you with this and are with you every step of your journey. The first questions I always a ask a bride to be – When you close your eyes what can you see? 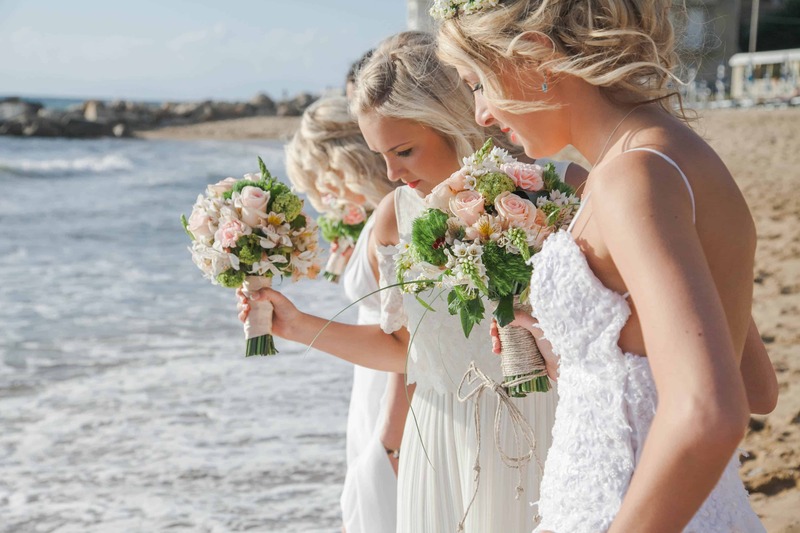 If you are wearing a floaty dress, and perhaps no shoes – you a carrying a simply bouquet and have a small intimate group of family and friends there to celebrate with, then a beach wedding could be perfect for you. Of course, no beach is private, but usually our little stretch of beach is virtually deserted around 6pm. The photos you see of Amanda & Ryan’s beach wedding, were taken on the 27th May and their wedding was a 5pm. If you have on a pair of Jimmy Choo’s, a long veil, a more traditional dress and want somewhere really private, then maybe a beach wedding is not for you. If we were told to describe the wedding day in 3 words they would be, perfect magical and just wonderful! We honestly couldn’t have asked or dreamed of a more beautiful day!! “Everything Julie told us about Santa Maria was true. We fell in love the moment we arrived. A truly magical and romantic place. Santa Maria will always have a special place in our hearts. It’s so special and I would tell everyone to go!! We are already planning to go back soon!! We keep in touch with Amanda and Ryan and they have become good friends. They even modelled for us at a styled shoot in Venice in the spring. 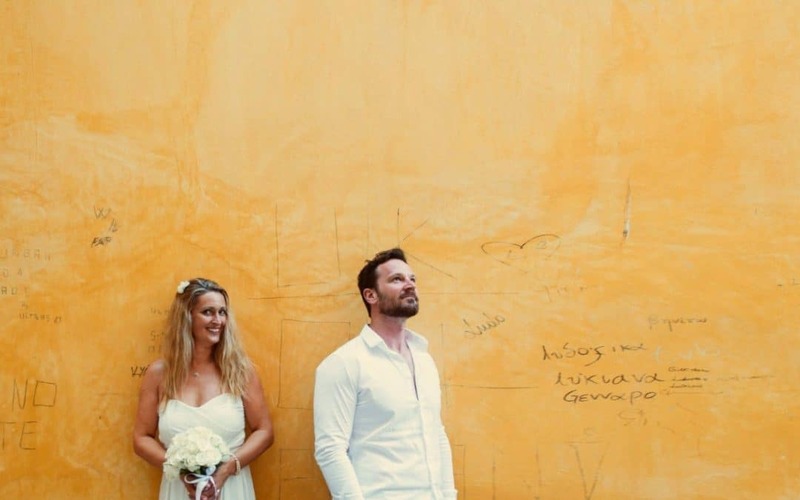 Being near the sea, you can hear the crashing of the waves against the shore, so we make sure we provide a microphone so that your guests can hear the ceremony and your vows. We would say that a beach wedding is more suited to couples looking for an intimate group of family and friends, and recommend no more than 55 guests at the wedding. Always consider anyone with disabilities. From the beach setting, a short stroll through the streets to the town hall to sign the register. If you would like to talk to Amanda about her experience, I can put you in touch with her. You may be wondering what Amanda and Ryan did after the wedding? They headed up to the hill top village of Castellabate for dinner, but you can choose to stay at the beach, and enjoy a star lit BBQ. We supply the fairy lights, candles and you can top the evening with stunning aquatic fireworks. I have a little video, so ask me and I will send it to you. The aquatic fireworks are incredible. 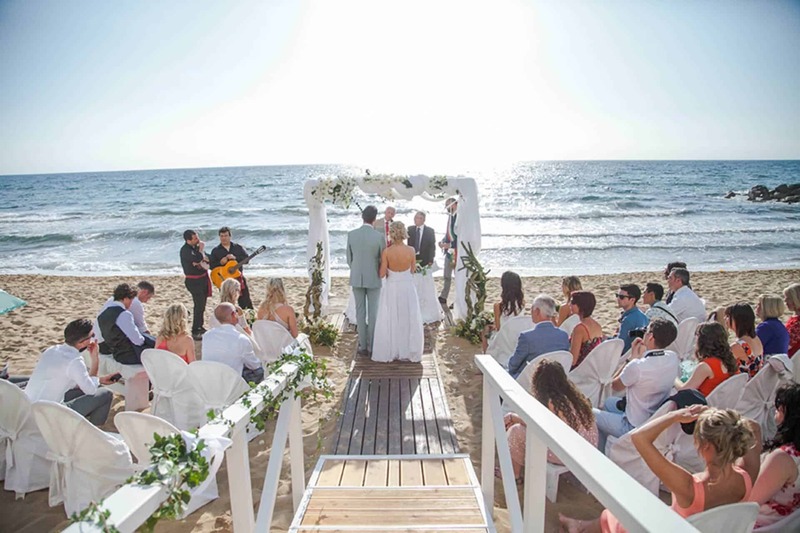 Like all our weddings we have a million ideas that can help you create a magical beach wedding, that you and your close family and friends will remember forever. E Mail – info@mysecretitaly.com or why not pick up the phone and call me, I am in the UK until after Christmas. 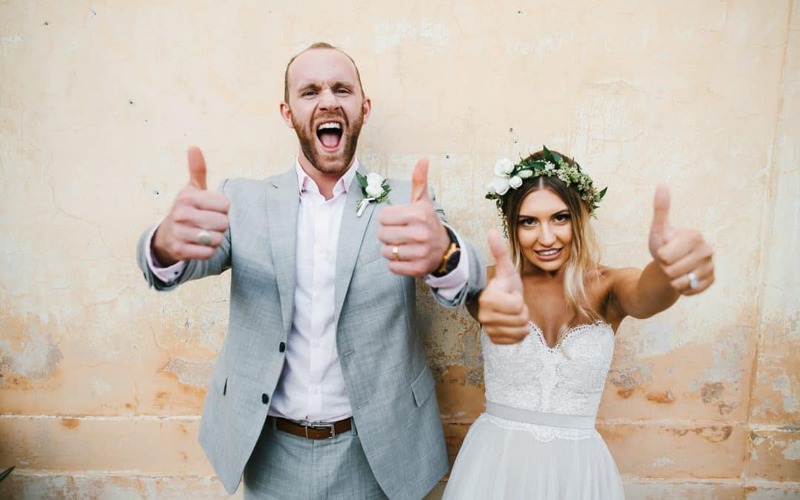 Julie M 07843255000 (I love to hear from you and can promise that from the moment we start to speak, I can enthuse you with lots of ideas for a perfect wedding)..